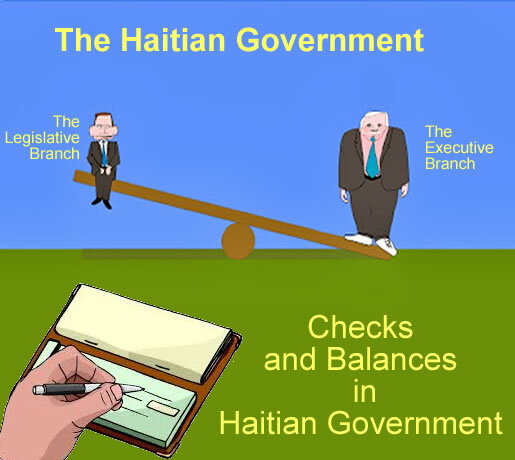 The Haitian government has a structure of Checks and balances. However, in practice that has not been the case. Following the exile of the Dictator Jean Claude Duvalier, a new Constitution was created. Beside promoting a Democratic system in Haiti, the new constitution wanted to established three branches of government with a system of Checks and Balances.